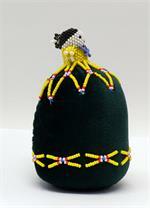 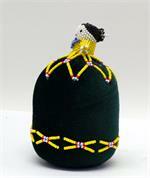 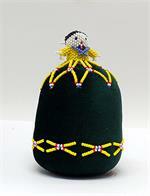 Beaded doll with large green velvet dress can be used as a pin cushion. 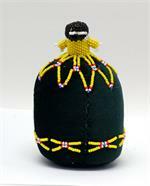 Each doll is individually handmade. They were originally made for Navajo children from their mothers and each piece is unique. 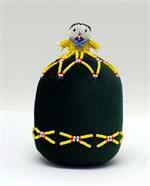 This is by Navajo doll maker Joann Silversmith.